My November Birchbox isn’t really that exciting. But there are two items I’ll totally use so it’s not a total dud. Let’s dig in! I’ve wanted to try Kérastase for a while now. I’ve heard lots of good things. Not only did I receive the Kérastase Nutritive Bain Satin 2 – Shampoo for Dry Hair and Kérastase Nutritive Lait Vital – Conditioner for Dry Hair, but they’re both nice sized samples! I’ll definitely get a few uses out of them. I also appreciate that I was sent products for dry hair since that fits my hair type perfectly. The Elizabeth Arden Eight Hour® Cream Skin Protectant is a multi-purpose salve that hydrates skin, adds shine to lips and lids, tames brows, conditions cuticles, and soothes scrapes and sunburns. I did test a bit on my cuticles because they definitely need all the help they can get. But it smelled like Bengay and well… I hate the smell of Bengay. It did have a balm like texture and felt moisturizing. But I just can’t get over the scent. The jane iredale Just Kissed Lip and Cheek Stain is interesting. It’s specially formulated to adjust to your body’s unique chemistry to create a customized ultra-flattering hue. It contains lots of natural ingredients. When I swatched it on my hand it was a shimmery baby pink shade. 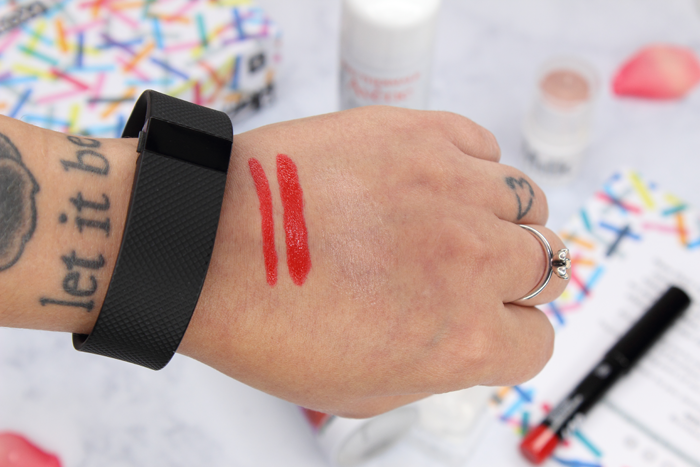 But it was way too sheer to show up in a swatch. As interesting as it sounds, it’s just not something I’d actually use. Also, the sample is teeny tiny! The Raw Spirit Fragrances Wild Fire Eau de Parfum is definitely not my kind of fragrance. It’s a little too woodsy for my liking. It’s also very strong. There you have it! At least I get to try the shampoo and conditioner! I might be cancelling Birchbox and will probably just stick with my Play! by Sephora subscription. I just haven’t been too impressed with my boxes lately. 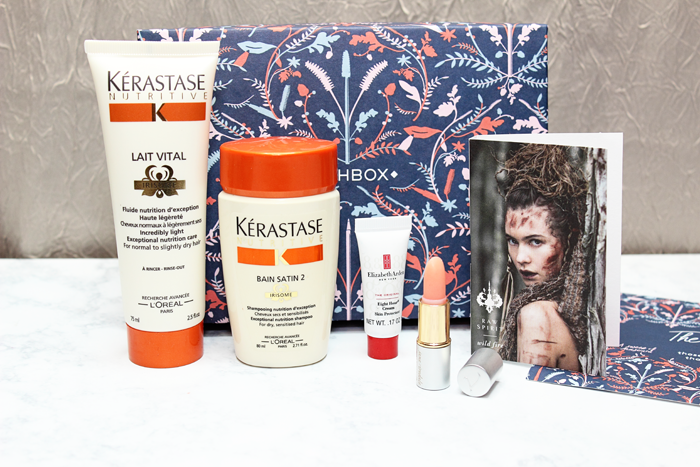 Sorry that my Monday post is a little late, but here is my October Birchbox! Better late than never, eh? First up is the Embryolisse Lait-Crème Concentré. This moisturizer can also be used as a primer, post shave soother, body lotion, and even makeup remover. It sounds like an interesting product that can be used in many ways. I’m sure one way or another it’ll get some use. I’m pretty sure the last thing I need is another mascara laying around. But the Marcelle Xtension Plus Curl Mascara has a lot of positive reviews so I’ll at least test it out. I’ve actually been liking the past few mascaras I’ve received in my boxes. Especially that Urban Decay Perversion Mascara that I received in my August Play! by Sephora box. I don’t really use dry shampoo, but the R+Co DEATH VALLEY Dry Shampoo looks interesting. It claims that with a few sprays it absorbs excess oil, increases volume, and adds definition. It’s also a really nice size so I’m sure I’ll get quite a few uses out of it. I actually really like getting eye creams in my boxes. I’ve tried some that I really like so I’m always excited to try new creams. The Air Repair Super-Hydrating Eye Cream reduces puffiness, hydrates delicate undereye skin, and diminishes fine lines. I can’t wait to try it out! The dr. brandt® microdermabrasion skin exfoliant sounds interesting, but I’ll have to do some research before I go plopping it onto my face. My skin doesn’t usually do too good with these types of products and the last thing I need is another outbreak of red, itchy, irritated skin. If anything I can always pass it on to someone who will definitely get use out of it. There you have it! It’s not the most exciting box, but it does contain some nice items. 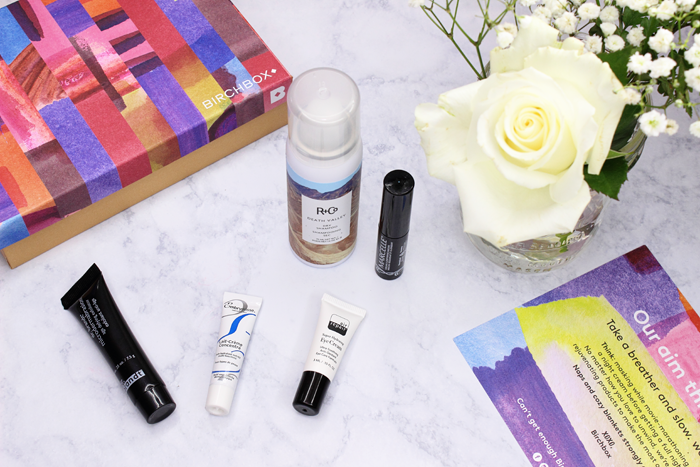 My September Birchbox is a good one! I was surprised to see quite a few items that I’ve been wanting to try included in the box. First up is the R+Co ANALOG Cleansing Foam Conditioner. It claims to clean and hydrate without weighing down hair. It’s made with argan oil, horsetail extract, and antioxidant rich green tea. While it’s suitable for all hair types it’s ideal for those with coarse, dry, or color-treated hair. It totally sounds like my kind of conditioner! I’ve heard so much about thermal waters, but never tried one myself. The Avène Thermal Spring Water claims to soothe redness and calm all sorts of skin issues such as sunburns, allergic reactions, eczema, and itching. It can also be used to set makeup. I gave it a quick spritz and while it was nicely refreshing I didn’t really notice a change in my redness. I’m still testing it out though. I think I was most excited to see the Milk Makeup Highlighter in this month’s box. I received the shade Lit which is a champagne pearl. I’m really digging the packaging. It’s not fancy or anything, but I think it’s rather cute. It contains hydrating ingredients such as mango butter, peach nectar, and avocado oils. Which is probably what makes it smell so good! It has a nice creamy texture and glides on smoothly. It’s a nice subtle glow, but it can easily be built up. I swiped a few times in my swatch posted above. It’s a gorgeous highlighter and I’ll definitely be putting this beauty to use. 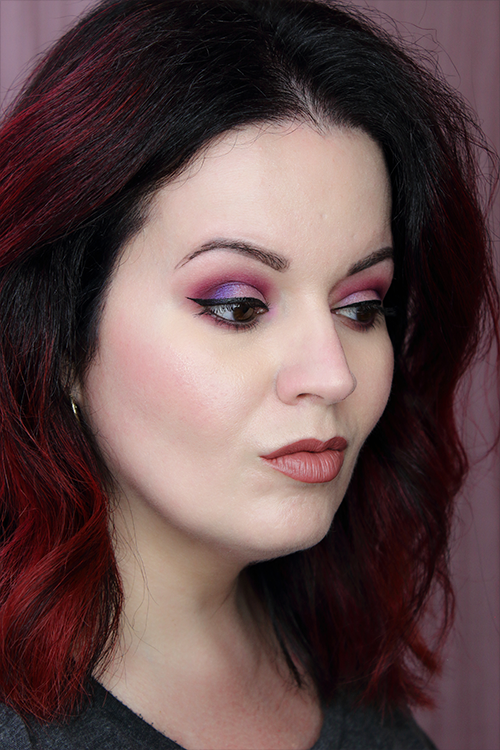 The LOC Ultra-Gloss Lip Pencil Trio shade I received was Cherry Bomb. I’ve received so many of these types of pencils in my boxes and usually end up giving them away. But I think I’ll hang onto this one. I’m not really into gloss, but this doesn’t appear to be super glossy. And when I went to go wash off my swatch… sucker wasn’t budging! I had to whip out the makeup remover! I think a nice long lasting red might be good to have on hand for a night out. Not that I ever go out. But still. I was also pretty excited to receive the Bioderma® Sensibio H2O. I’ve heard so many great things about it. And I’m lucky to be able to use it once. Because this awkward sample doesn’t reseal and I’m not sure that I can lay it down without it spilling out. But hey, it’ll be nice to finally be able to try it out! Overall this is a pretty great box this month! Everything is usable and I even received some items I’ve been wanting to try for a while now.